The Dante Alighieri Poetry Competition is an integral part of our Italian program at SSC. 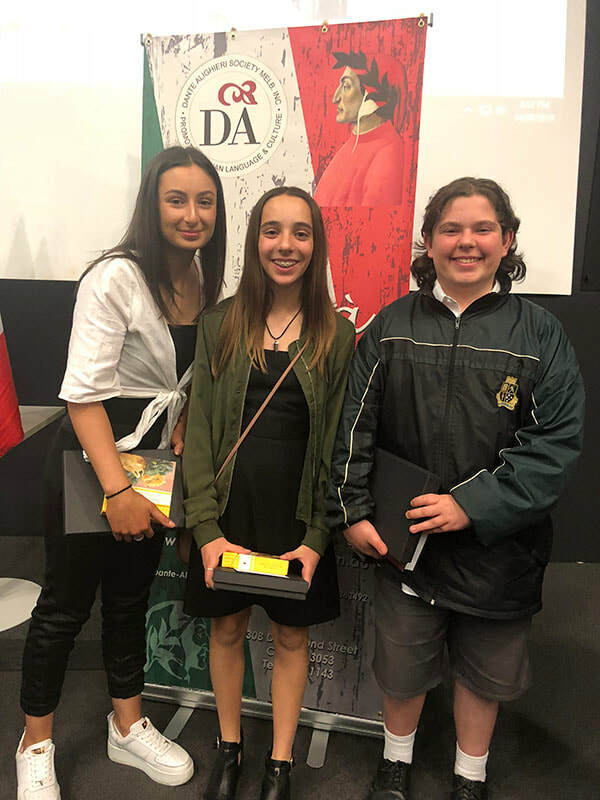 During this term, Year 9 and 10 Italian students participated in the Poetry Recitation Competition at Melbourne University. Many students performed well and they have received a certificate of either Merit, Distinction or High Distinction. Whilst we would like to acknowledge the effort of all students who participated in the poetry recital, a special mention to our finalists - Meagan Cecchini, Mateo Garcia-Hernandez, Julia De Luca, Sarah Di Qual and Mia Soligo. 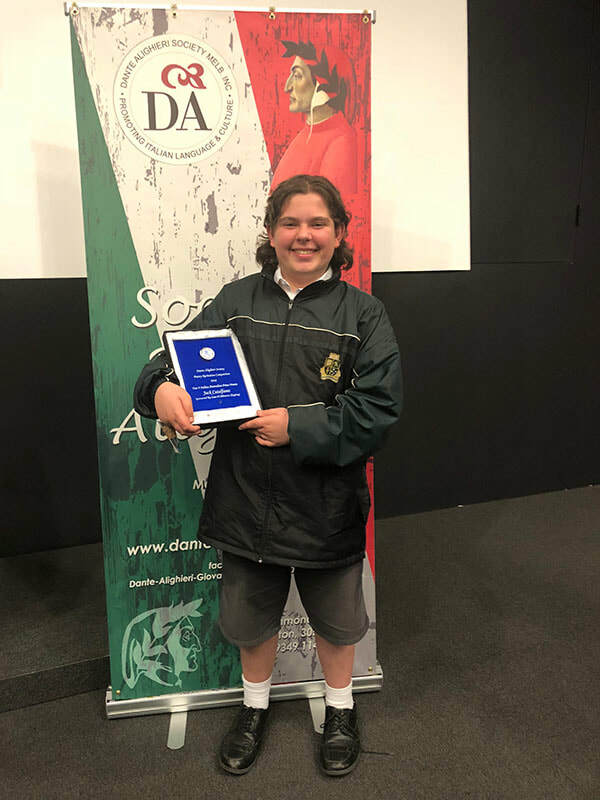 A very big congratulation to our first prize winner, Jack Catalfamo in Year 9, who confidently recited his poem to an engaged audience at the Awards Presentation Ceremony on Friday, the 14th of September. We would also like to congratulate both Amelia Pannunzio in Year 9 and Olivia Patterson in Year 8 for their first place award in the Original Poetry Competition.